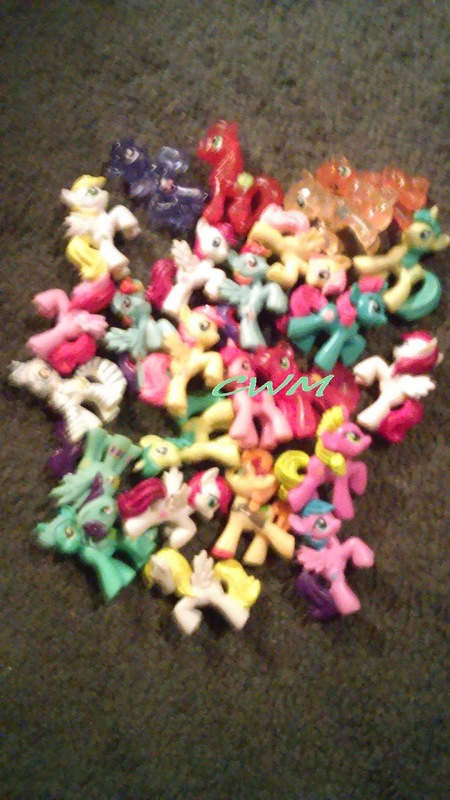 Are you or someone you know a member of the MLP blind bag fan club? My daughter is the Queen President of the club! This is a real thing! I'm not kidding! I have even become a little too excited about "prize day". When I already know exactly which way our shopping cart is headed. 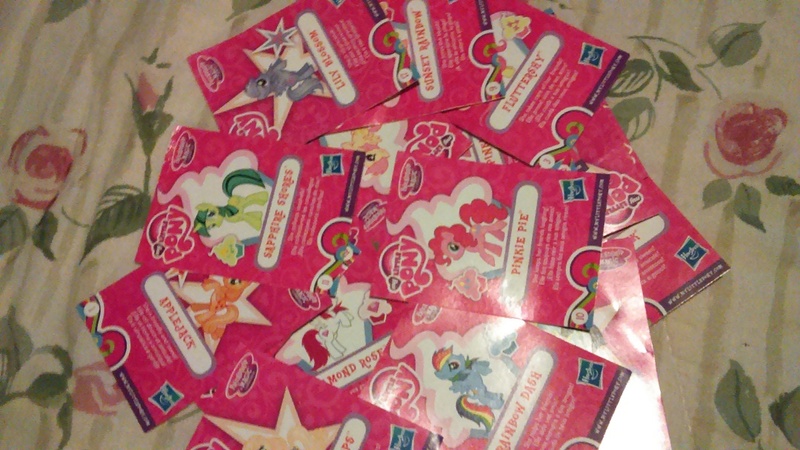 I know what the prize is going to be...yet, you don't actual know which pony/prize you'll get. Will it be Pinkie Pie? Flutter Dash? Rarity? Sweetie Drops? It's totally the anticipation of that secret prize. If we had done a side by side, my face would look exactly like hers! 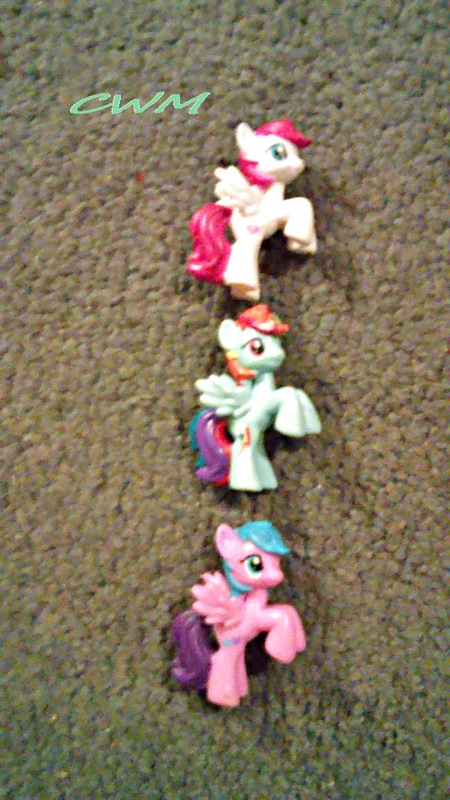 Now, the best part(for me) and any momma that has too jumped on this blind bag wagon. If you notice E's package is a two for one....BONUS PACK! It is $2.88 at Walmart or $5.99 if you order online. 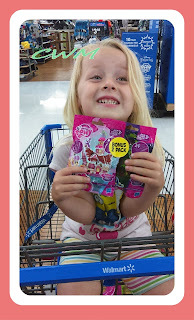 Everywhere else we have found them, Walgreens, Target, etc they are at least $3.99 FOR ONE! So, not only do we/you get 2 they are cheaper! And they have different "sets". 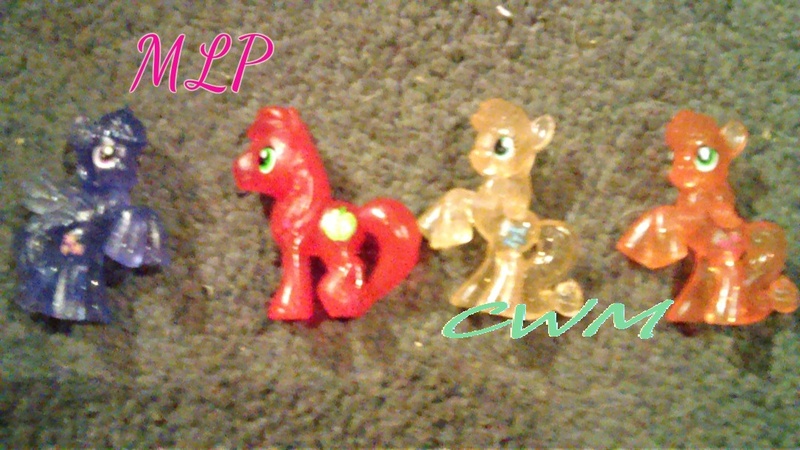 You can get cupcake, apple, friendship and the rare ones in Sparkle friends! I'm so in love with these little minis and they are so cute! Not recommended for children under 3 years old but they make great collectibles or what I call, "grab and go" toys. 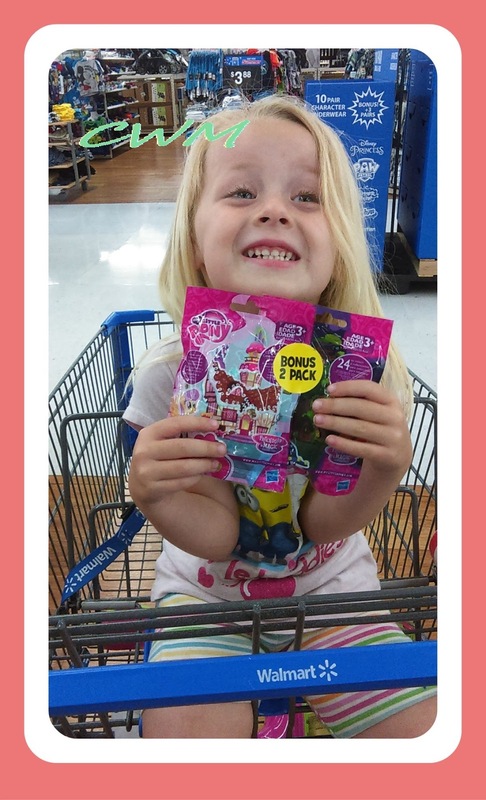 We throw a handful in a back pack, my purse or whatever and she has toys for on the go. I told you she has a ton of these...and yes, obviously you do/will get duplicates because you can't see who you've gotten until after you purchase and open your blind bag. Only what I could find and grab up to take a few pics! They come with collectible cards you can save(like a baseball card). 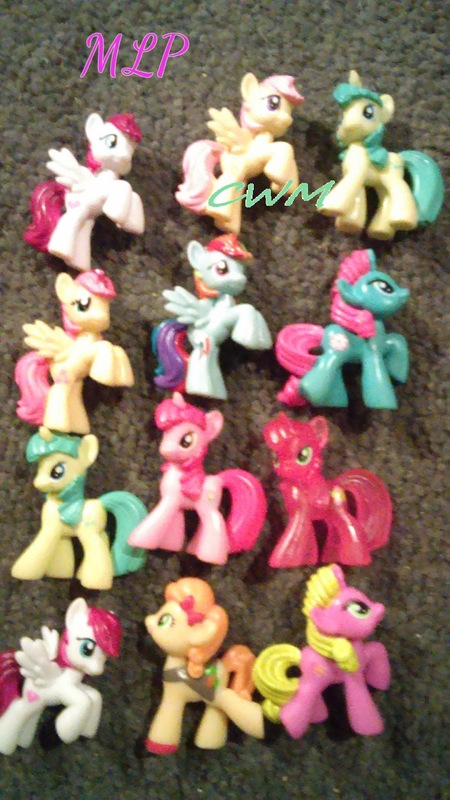 It has their name and some little fun facts/info about each pony!